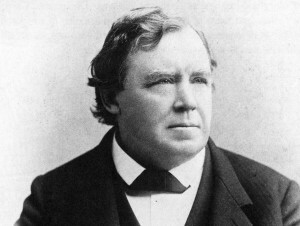 Born in Philadelphia, Donnelly settled in Minnesota, where he won election as lieutenant governor and congressman (1863–1869). He left the Republicans in the 1870s to form a succession of liberal thirdparty movements representing farmers and working men and opposing bankers and financiers, whom he attacked as public enemies. Donnelly wrote a series of highly popular visionary novels, including Atlantis (which portrayed the origin of civilization in the lost continent of Atlantis), Ragnarok: The Age of Fire and Gravel (which related certain gravel deposits to an ancient nearcollision of the earth and a comet), and, most important, Caesar’s Column (1891), a futurist work that predicted radio, television, and poison gas and that pictured the United States in 1988 ruled by a financial oligarchy that tyrannizes over a downtrodden working class.